Brave, bright and bold – a pop of colour adds spice to any bedroom at risk of being deemed bland. We know it can be daunting, as there is always a worry the shade will be overpowering, but if done right it can be just what the bedroom needs to give it sharp, modern look. It will bring out the other subtle colours in the room and contrast with the background shades to give an overall professional finish. 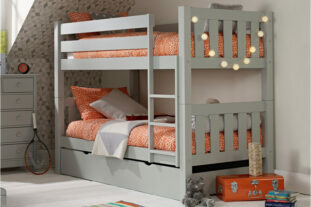 Check out our top tips for how to add a pop of colour to your child’s bedroom below. 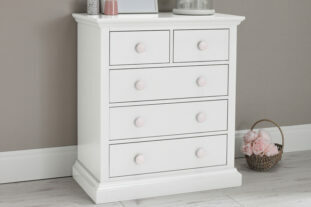 Adding artwork is potentially the easiest way to add a pop of colour to an already decorated bedroom. 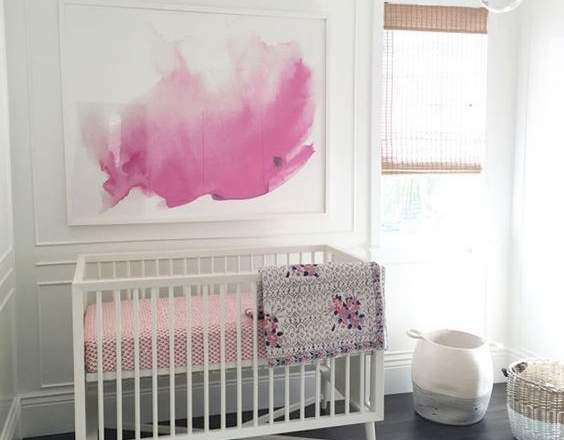 If the colours in the room are fairly subtle, such as white, or there just doesn’t seem to be enough of your dominant colour, then adding a piece or multiple pieces of artwork will help with this. 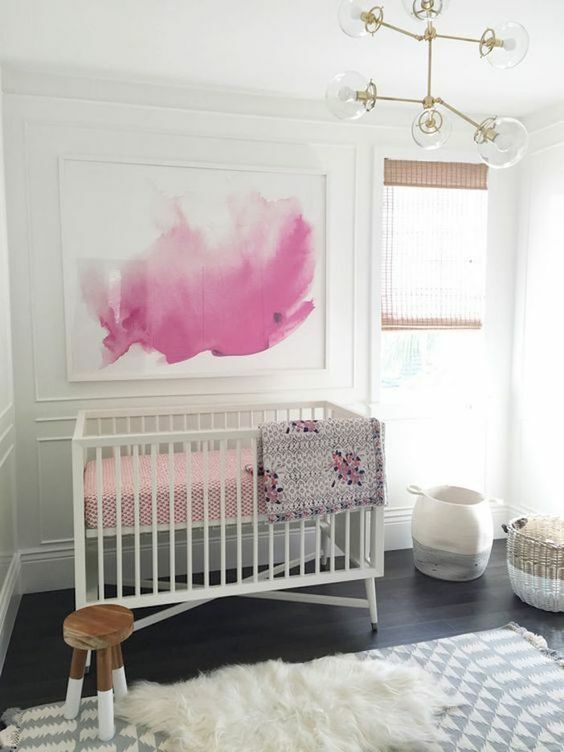 As you can see in this image, the pop of colour comes from the pink in the painting, contrasting with the white walls and complimenting the lighter pink bedspread. Overall it gives a professional finish and does not overpower the room, instead just giving it an eye catching and simple pop! The image does not need to be large, you can also add a series of small pictures with the desired dominant colour within them to get a similar effect. 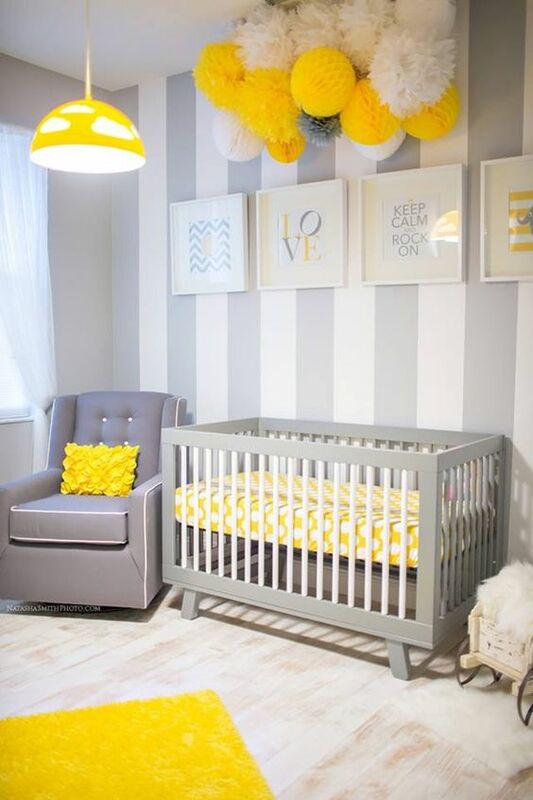 This one is potentially more difficult if your child’s bedroom has already been designed, but if you’re looking for new furniture or you are redoing their room entirely, then this is a great tip. 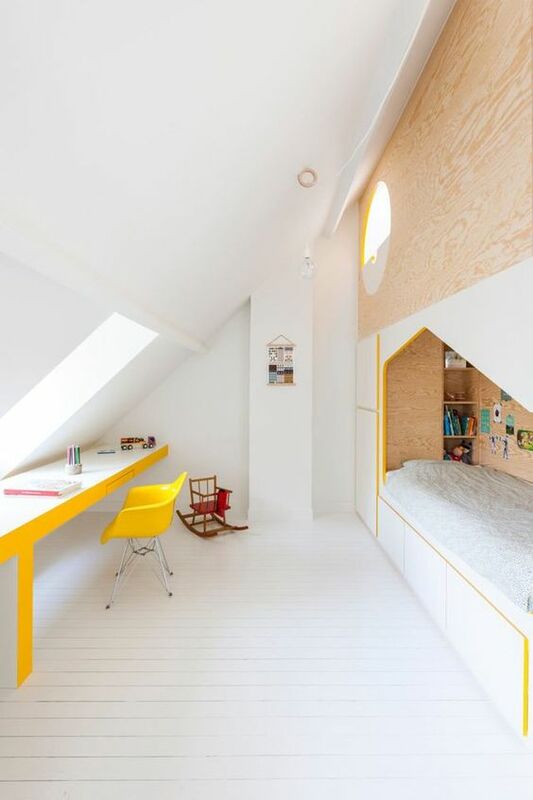 Bright furniture can bring a room to life, and what’s more your kid’s will love the fun designs. Depending on the size of the furniture it needs to either be the only item in the room with the colour, or compliment lighter shades of the colour in other areas of the room. For example, in the image there is a yellow border around the bed, which of course matches the chair and the edge of the table. This goes nicely with the white walls, floorboards and the wooden finish on the wall. It gives an overall clean look, adding that fun without being too much or looking messy. 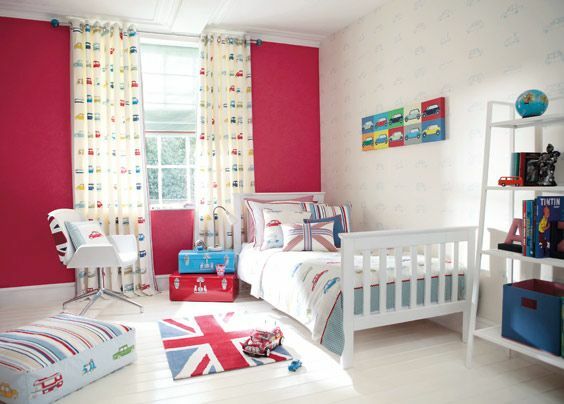 A feature wall is another bold way to add colour to your child’s bedroom. For a big contrast, choose white and a bright colour such as the red in this image, for example. With it you can add more subtle shades of red into the rest of room to match it, such as artwork, cushions or a rug. This keeps the colour running throughout the room, and keeps it from being overpowering. It is usually best to only do one wall, and to pick one which is mostly clear, with lots of space to let the colour show, giving the best effect. You could also add extra personality with funky wall stickers, perfect for a simplistic bedroom touch-up! As said above, cushions and bedding can be complimentary to your dominant colour, but alternatively they can provide that bold colour. 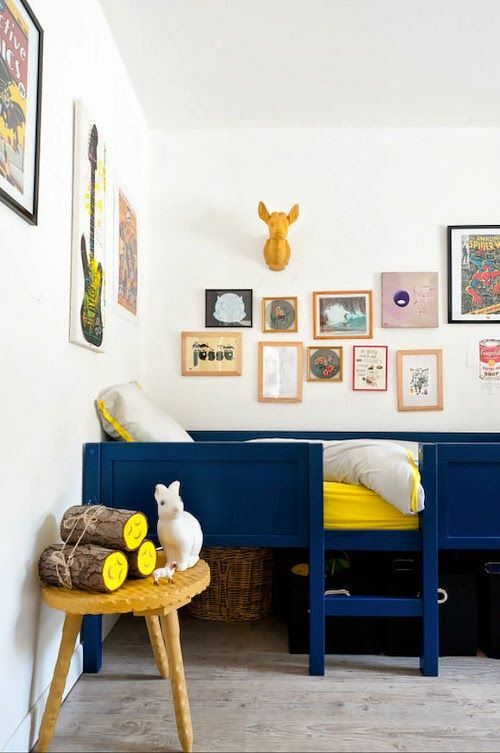 Like artwork, this is easy to do if you have your child’s bedroom already set up, as you can choose a colour already subtly present in the room and grab some brighter items to spice things up. The best thing about bedding and cushions is you can change them at any time if you no longer think the look works, or you’re after a change. 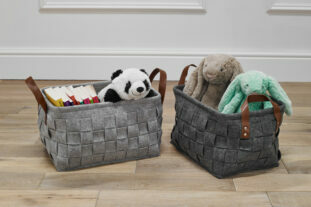 After all – children do grow, and their tastes seem to change so quickly, so it’s a safe option! Again they’ll love the fun of having a funky bedspread and colourful cushions, and you’ll get the clean pop of colour to easily brighten up the room. Like with bedspreads and cushions, rugs are an easy option and are easy to change when required. Most people have plain floorboards or carpets which suit nicely to a patterned or colourful rug. 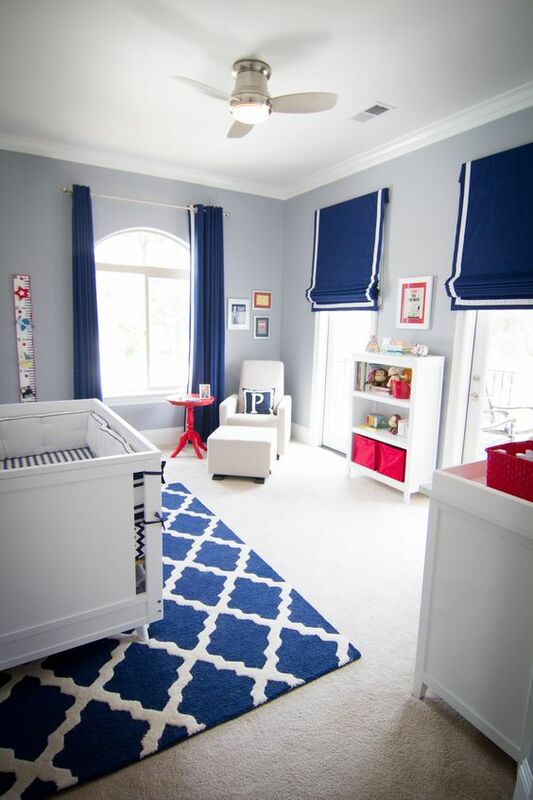 In the image for example you can see how the colour runs from the top to the bottom of the room, with the blue in the blinds, the cushion, and then finally the rug under the cot. As well as adding that desired pop of colour, a rug can make the room warmer and more homely, as well as making the floor look less bare. The size and shape of the rug depends on the size and shape of the room, for example the rectangular rug works well in this rectangular room. From the ground, up to the ceiling: light fittings and lampshades can add that pop of colour too. Floating above everything, they can add a stabilising shade, reaching out and complimenting all colours in the rest of the room. Here the yellow from the lampshade matches the other yellow features in the room and contrasts with the grey and the white. 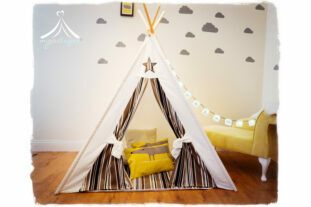 Again it gives your child’s room that slick, modern look, and again it is easy enough to change. 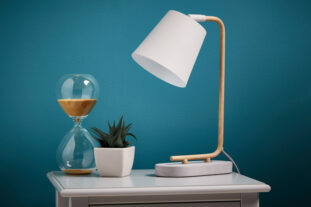 There are lots of different types of shades and fittings available to suit the style and size of your room, and all in the colour of your choice so you can get that professional pop. 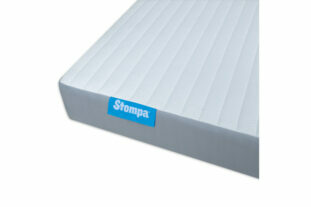 Most companies do matching sets of bedspreads and lampshades, so you can even get the same design on both.